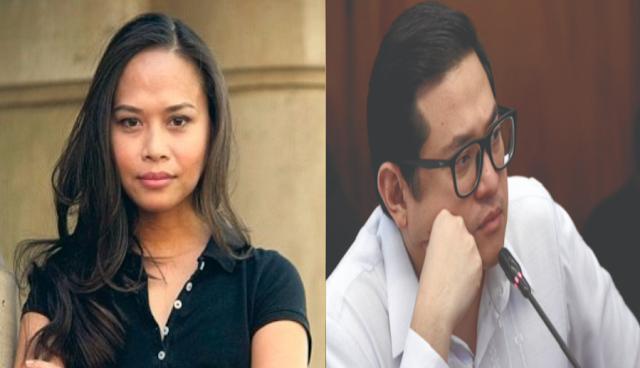 Political blogger Sass Sasot blasted Senator Bam Aquino, after the latter expressed his intention to inititiate a Senate probe into the Philippine National Police’s (PNP) campaign against loiterers. Sasot said that the senator was "clueless". The senator noted that since President Rodrigo Duterte’s order against loiterers, the PNP has initiated its “anti-tambay” campaign supposedly to address the problem of criminality in the country, however there is no law supporting it. He said the Anti-Vagrancy Law was repealed in 2012 with the passage of Republic Act No. 10158 or the Act decriminalizing Vagrancy. Sasot then took the initiative and rebutted the statement. "Sabi ni Bam Aquino eh puro poor commmunities lang daw ang na-tatarget ng anti-tambay. Ang tanga ng senador na ito at halatang WALANG ALAM sa nangyayari sa tunay na buhay," she said. "Mr Bam Aquino, ang mga mayayaman po ay nakatira sa condominum at mga gated villages o subdivisions. Bawal po ang loitering sa mga condominiums at gated villages at subdivisions. Ang anti-loitering po ay isa sa mga common rules ng mga homeowners ng mga RICH COMMUNITIES. Ang mga covered courts at mga parks nga sa mga rich communities eh may oras lang na pwede kang nandoon kahit homeowner ka," she added. The senator previously cited several reports of individuals being arrested and detained while outside their house or waiting outside a friend’s house, and in response, Police Chief Oscar Albayalde said that the ones arrested by the drive had violated various ordinances.